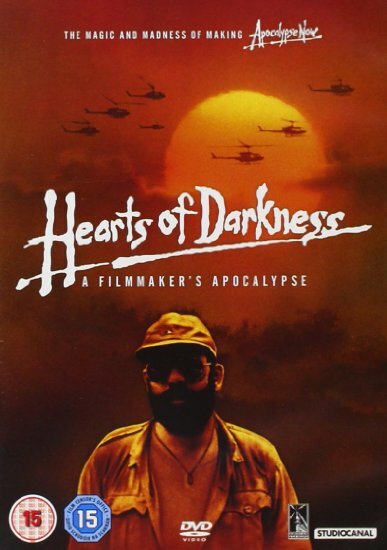 Brief Synopsis – Documentary about the production of the movie Apocalypse Now (1979) showing all of the problems during the whole process. My Take on it – As an avid moviegoer, I must admit that I know very little about the moviemaking process itself and spend more time on the entertainment factor that arises from watching the finished product. This documentary takes us behind the scenes of the apparently one of the movie difficult and grueling movies to be filmed. It really is eye opening as to the difficult process involved in making a movie and this is something many of us take for granted. This movie features interviews with the cast and crew both during the time the movie was originally made in the 70’s and during the time this documentary was made while adds a more powerful impact to the stories being told. It’s unbelievable how close this movie came to not being made due to so many problems including inclement weather, medical problems, an unfinished script, inflated egos and many many other unforeseen events, but in the end it all came together to give us such a dark and interesting movie. This movie was both Siskel and Ebert’s favorite movie 1991, but for me it definately breaks the top ten, but isn’t at my top. Bottom Line – Excellent documentary that shows us so many behind the scenes footage in order for us to understand what it takes to make such a movie. Loved the interviews with the cast and crew both from the time they were filming and in the 90’s giving retrospective recollections of events. Amazing how close this movie came to being a failure time and time again, but eventually became the triumph that we all know about now. Highly recommended! Nice review, Rob. I thought it was very interesting. It sure added to the pleasure of the film. What a pain in the neck that A.N. was to make! Great review. This is one of my all-time favorite docs.